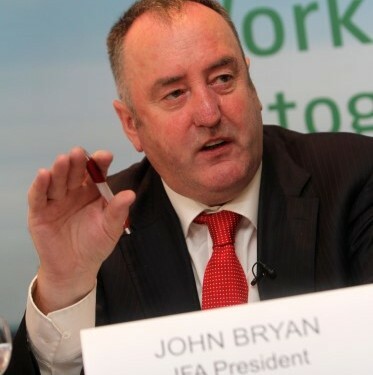 The Irish Farmers Association (IFA) has confirmed to AgriLand that a deputation from the organisation, headed up by president John Bryan, will meet 12 Fine Gael back benchers in Dáil Éireann today, as part of the ongoing campaign to get government backing for a co-funded Rural Development Programme (RDP). It is understood politicians from all regions will be in attendance. “This is a very important get-together,” an IFA spokesman added. “We are expecting an official decision on the issue of co-funding over the coming days. It is crucial for the Government to sign up to co-funding. The consequences for farming and the rural industries, if this is not achieved, will be extremely serious. The IFA representative went on to confirm that the organisation has no back-up plan in the event of the Government failing to meet its demand on the co-funding issue. “We never take a ‘Plan B’ approach on matters that are of fundamental importance to the future well-being of the Irish farming industry. The IFA representative also pointed out that RDP measures play a vital role in maintaining the fabric of production agriculture in Ireland. “We are expecting that the next programme will provide additional support to the suckler sector. This, in turn, will help maintain the viability of our red meat processing industry, which is worth €2bn to the Irish economy annually,” he stressed. The IFA president also confirmed that schemes such as the agri-environment programme, disadvantaged areas and young farmer measures, as well as investment aid for achieving Food Harvest 2020 targets are of critical importance to ensure that agriculture continues to play a key role in Ireland’s economic recovery. Bryan said Ireland’s EU allocation over the next seven years is €313m/annum. This must be matched by at least that amount of national co-financing with national top-ups. 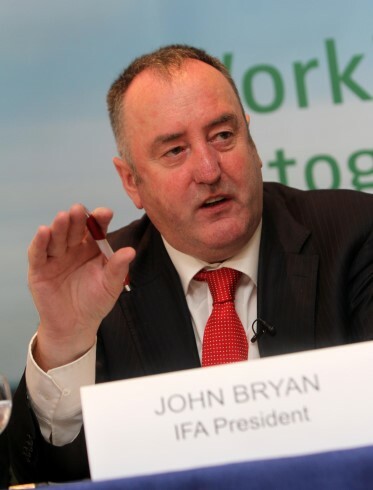 The IFA has proposed a programme with a total EU and national allocation of €660m/annum. “The plan must be submitted to Brussels in early 2014 and it is vital the funding arrangements are pinned down so that the details of the various measures are agreed in advance of the submission being made to the European Commission,” he stressed.